With the advent of the Information Age, technology has changed everything and the need for innovation, especially in traditional industries, is greater than ever. With the evolved needs of the market, new requirements of consumers, this is the perfect time for new innovations to disrupt existing norms and for new technologies to meet these, often unarticulated, needs. Much like other industries, the publishing industry has also been disrupted by the introduction of new technologies and innovative platforms. Self-publishing has not only brought thousands of new authors into the fold but has also allowed people to follow their passion for writing while making money off it. Perhaps, the largest disruption in the world of publishing was the introduction of the Kindle in 2007 and the concurrent launch of Kindle Direct Publishing (KDP), Amazon’s e-book publishing unit. With KDP, Amazon allowed pretty much anyone to publish their book on their platform. Publishing houses were no longer the gatekeepers and anyone could become a published author simply by uploading their work to the KDP platform and can choose to make it available for free or charge money for it. Authors keep a higher percentage of royalty (between 35% and 70% depending on the program they opt for) than they would if they choose to go the traditional publishing route. Due to the lower cost of self-publishing, authors can offer their books for as little as $0.99 and have the opportunity to use innovative and low-cost marketing strategies to spread the word about their books and engage with their readers at a personal level. For example, many authors create a simple WordPress website to provide readers with additional information about their books, keep them informed when the next book is releasing, and some even give engaged readers advance copies to receive feedback. Self-publishing has not only brought thousands of new authors into the fold but has also allowed people to follow their passion for writing while making money off it. 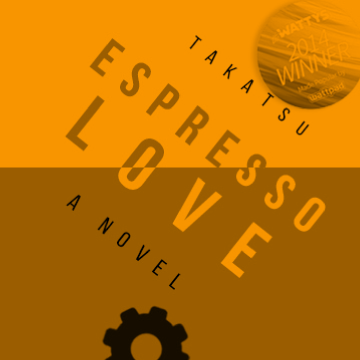 Authors also have the option of signing up for Createspace or KDP Print which provides print-on-demand services so readers can order print copies of their books. Authors can offer this choice to readers without the financial outlay of having to pre-order thousands of copies. This particular innovation has spawned an entire industry of print-on-demand services which also offer other value additions in the form of editing and proofreading services, cover designing, and the option to have their books professionally laid out for both electronic and print forms. Did you know that Amazon was not the first to introduce an e-reading device though they were the first to do it successfully? 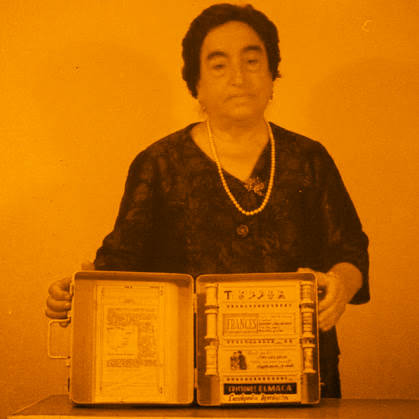 In fact, the first e-book was conceptualised more than 80 years ago. Take a look at our infographic on the history of e-books to find out more. With Kindle Unlimited, Amazon further incentivised both authors and readers by bringing the concept of a library to e-books. Subscribers can borrow up to 10 books at a time from the Kindle Unlimited catalogue allowing them to experiment without having to shell out money to read independent authors, whom they may not like. Authors who opt to have their books included in the catalogue are paid based on how many times their books are read. With no risk attached, more readers tend to discover them. Interestingly, a lot of authors choose to put the first book in the series on Kindle Unlimited hoping to get readers to try them out and later, buy the remaining instalments if they like the first one. The flip side to self-publishing on KDP is that the Kindle catalogue is now full of poorly written, badly edited and terribly plotted books. But, it affords readers the opportunity to decide what they want to read as opposed to having publishers take a call on what is worthy of being released based on what they think the market wants. While Amazon may have made self-publishing popular, it is Wattpad- an online community of readers and writers founded in 2006 to bring a social element to stories- that initially got people writing and publishing their work online. It is not only used by amateur writers who get feedback on their stories and a chance to interact with their readers but has also been used by established authors like Margaret Atwood. In 2013, Atwood released an exclusive essay about her book MaddAddam and excerpts from the other novels in the trilogy, on Wattpad in order to promote the launch of MaddAddam. She has also organised several contests over Wattpad. Wattpad has also served as a platform for publishers to find new talent, based purely on what readers are enjoying. Perhaps, one of the greatest success stories to come of this is that of Anna Todd who received a publishing deal from Simon & Schuster to convert her work After, a fan fiction piece on One Direction with over a billion reads on Wattpad, into a multi-book saga. Later, Paramount bought the rights to adapt them into a movie. Meanwhile, in India, in 2015, Chiki Sarkar and Durga Raghunath founded Juggernaut, a mobile-first publishing company with three simple aims- to get more Indians to read, to encourage them to write, and to make books seem less intimidating. They also worked on making books more accessible by selling e-books at lower prices- a look at the Juggernaut store shows that most e-books are priced at Rs. 50, including popular reads like Age of Anger by Pankaj Mishra and When I Hit You by Meena Kandasamy while classics like Animal Farm and Don Quixote are available for free. The raison d’etre for Juggernaut was also to take advantage of and create something original keeping digital behaviour in mind. Instead of simply repurposing print like most do, they wanted to provide readers with shorter reads ( a typical novel has a word count of 25,000-30,000 words)- perhaps something they could read while commuting- using a device they already own. They also have serialised works and one of the most popular serial books on the platform was written by Sunny Leone. Sarkar was inspired by the Asian cellphone literature story which she heard at the London Book Fair in 2014. In Japan, cellphone literature is a popular genre with authors writing entire stories via text messages. Each chapter typically consists of 70-100 words keeping in mind the limitations on cellphones. In 2003, Yoshi, a Japanese man in his mid-thirties, published the first cellphone novel, which became so popular, it was later converted into an actual book which sold 2.6 million copies. In mid-2017, Juggernaut launched its writing platform encouraging amateur writers to submit original writing and have awarded publishing contracts to several writers. As of December 2017, Juggernaut has reported over 1 million downloads across Android and iOS. Juggernaut is definitely changing the way Indians read and think about reading. The product roadmap for 2018 is further indicative of their ambition as this year, they plan to take on Kindle Unlimited by offering unlimited subscription plans. While e-publishing houses may have successfully allowed anyone to become a published author by giving them the opportunity to publish, writers still have to do the actual work of writing the book. Recognising the prestige in being able to call yourself a published author, Zach Obront and Tucker Max launched Scribe Writing (formerly Book In A Box) to solve the problem of creating a book. It all started when Melissa Gonzalez wanted to turn her ideas into a book but didn’t want to spend years doing it herself. She asked Max to solve her problem and it made him realise that writing isn’t necessary to turn your ideas into a book- you could also talk about them and have someone else convert that into a book. That first experiment turned into a business which has published several 100 books since its founding in 2014. For $25,000, they’ll do everything from writing your book in your voice with your ideas to designing the cover and the interior layout, and even help you with the distribution and marketing- all within 7 months or less. The best part is that the author owns all the rights and 100% of the royalties which ensue. Scribe Writing capitalises on the self-publishing boom as this methodology is unlikely to work when you go the traditional publishing route. They’ve also succeeded in making the process more affordable than hiring a ghostwriter while adding value through creating a seamless process which meets all the needs of an author- from writing and design to marketing and distribution. Kickstarter has become a popular venue for potential authors to launch books and receive funding. Not everyone can afford to shell out money to bring their book to life. Hiring a professional editor, getting a beautiful cover designed (because despite what we like to believe, we do judge a book by its cover) and even basic marketing expenses can run into quite a bit. All this when you don’t know if your book will be a success. Incidentally, this is why traditional publishing is often considered less risky because all these costs are borne by the publisher and not the author. The trade-off is lower royalties. Of course, some authors choose to simply roll the dice, use stock images to design their cover, skip editing or get a friend to do it from them, and be careful with their marketing costs, there are others who recognise that this is not enough and want to go the extra mile to create an experience as opposed to just a book. These authors turn to crowdfunding platforms like Kickstarter which allow them to self-publish the book without compromising on product quality. 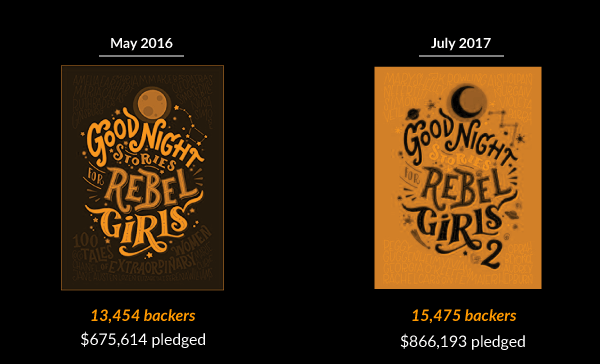 Good Night Stories For Rebel Girls was first launched as a Kickstarter project in 2016. According to their campaign page, they needed money to print the first 1000 copies, get an ISBN, hire an editor, and pay the artists who illustrated the book. In fact, about 40% of the funding was expected to go towards paying the artists. The book has subsequently taken the world by storm with over 1 million copies sold. In mid-2017, the authors chose to use Kickstarter once again when they wanted to launch the second volume of the book and a companion podcast. They surpassed their previous record making Good Night Stories for Rebel Girls 2 the most funded project in the publishing category. Kickstarter has become a popular venue for potential authors to launch books and receive funding. Not only does it allow them to validate their idea before spending thousands of dollars on production, but it also allows them to get their books out into the world. It is interesting to note that many funded projects may not have been considered commercially viable by traditional publishing. For example, a custom bound edition of The Wasteland by T.S. Eliot starting at $60 and going up to $5000 has already received 450% of the funding goal. Traditional publishers are scrambling to stay relevant in the age of self-publishing, often doing so by offering lucrative deals to successful self-published authors. Amish Tripathi and Ashwin Sanghi in India, and E.L. James and Amanda Hocking in the U.S. are the poster children for authors who have either been rejected at first only to be given multi-book deals later or have been ‘discovered’ online. Meanwhile, authors are experimenting with writing styles and formats, with their marketing strategies, and an entire economy has been created to support their efforts and make them successful authors. Today, we have book consultants and bloggers who teach you how to self-publish your book the right way. There are online courses which run into hundreds of dollars to help you launch your book. Platforms like Story Cartel let authors give advance reader’s copies to their audience to receive feedback and/or an unbiased review on Amazon. While I doubt the traditional publishing industry is going to die out any time soon despite predictions to the contrary, I will be keeping an eye on how small and independent publishers innovate.